Sun and Moon Ensemble has developed a unique type of performance for outdoor or large indoor spaces. The shows are site specific, adapted to each location and each arrangement. 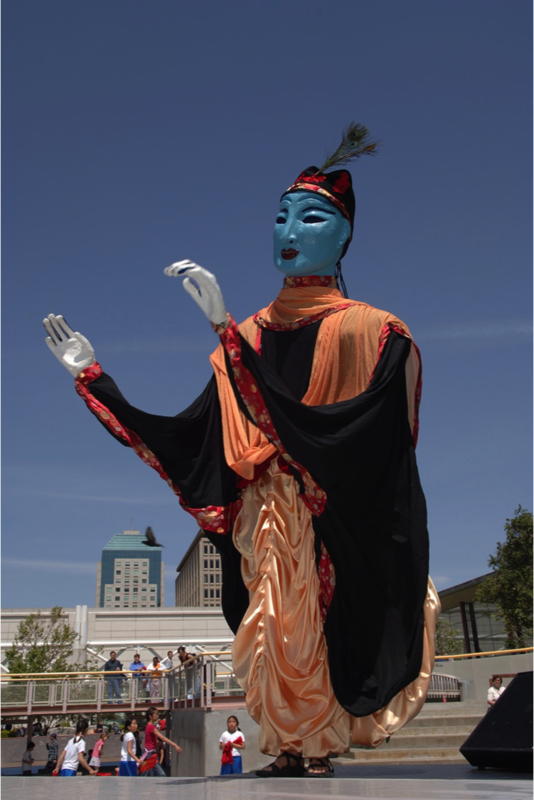 With its array of 10 ft. high giant puppets, colorful masked characters, theatre, dance, procession, and live music, the group spellbinds young and old alike. In the twinkling of an eye the performers switch from tightly choreographed scenes to totally spontaneous interaction with the audience as the group weaves its way through the crowd. 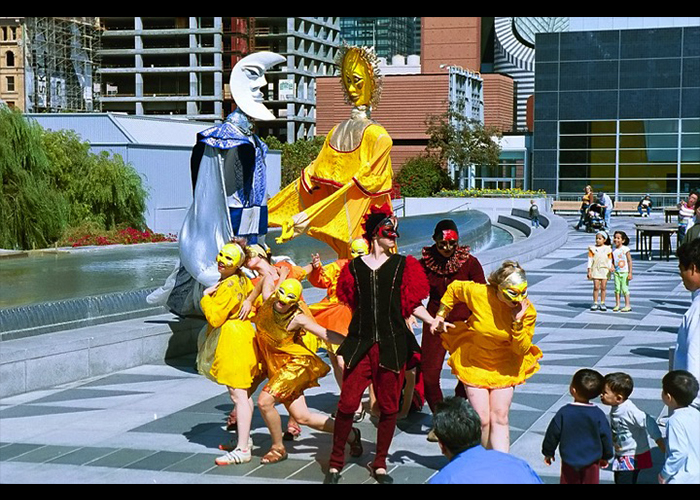 Created in 2017 in Aarhus, Kosmos is an outdoor performance directed by Maria Lexa, featuring theatre, dance, comedy, mask characters, large puppets, and live music. Original music for Kosmos is composed and performed by Maria Kruchov Midtiby. 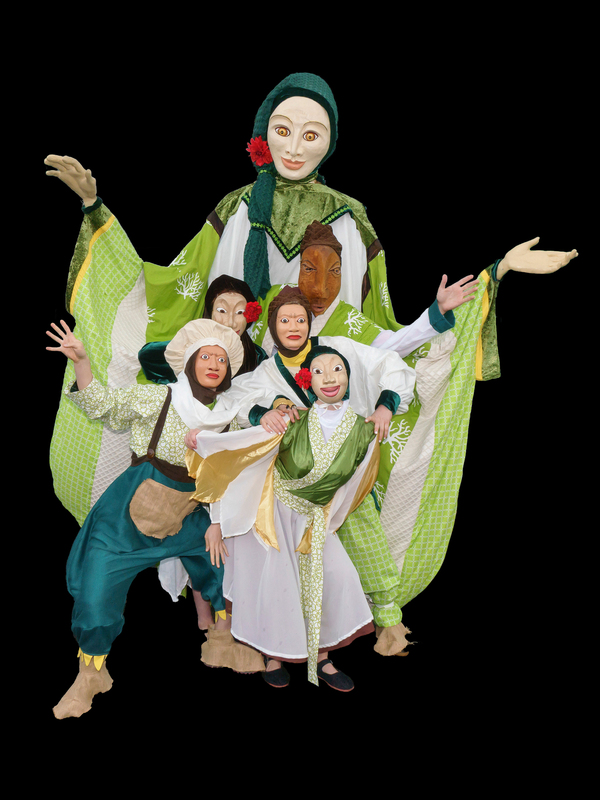 Skilled performers with experience in theatre and movement perform in hand carved wooden masks and 13-meter high puppets, bringing their characters to life in an intensely visual drama without words. 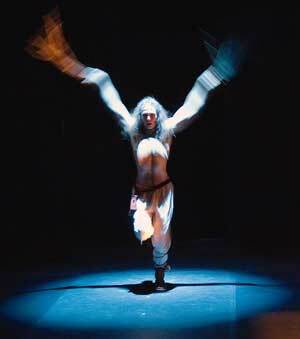 Kosmos is performed free of charge for a broad audience of all ages and from all cultural backgrounds. 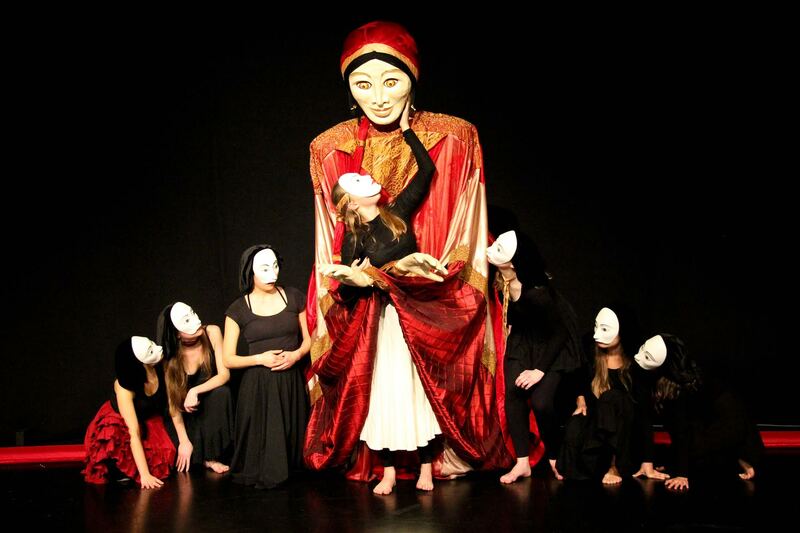 Created by artistic director Maria Lexa and 12 performers from Quonga Teater Netværk in Aarhus, Denmark, MEDEA, MEDEA features theatre, dance, masks, large puppets, and live music. The piece is based on a text collage by Swedish writer, Kjerstin Norén, and includes classic texts from Euripides, as well as modern texts, which connect the Medea story to themes of domestic violence and the fate of immigrants. Through powerful drama and strong visual images, the piece moves forward toward the main character&apos;s redemption, creating a new vision of the traditional Greek myth of Medea. The performance builds dramatically through smooth and continuous transitions of stage images, created through the performers&apos; strong, precise physical expression. In the beginning of the piece, the performers appear as a group, saying texts in unison. Gradually the structure transforms and the actors, one by one, change into the story&apos;s main characters or into chorus members. Some of the scenes feature the classic structure of the Greek chorus, which acts as a unit in confrontation with the main characters. MEDEA, MEDEA culminates in a dramatic scene with mask dance, a 3-meter high puppet, an intense drumbeat, and Medea&apos;s final resolution. MEDEA, MEDEA project is a meeting between an experienced stage director and performers from Aarhus&apos; dynamic milieu of emerging artists. The goal is to create an experience of ensemble theatre, which is enriching, insightful, and of high artistic quality. 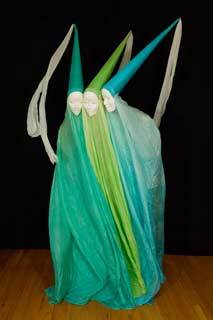 Maria Lexa has collaborated with teacher/director Keith Carames on a series of student theatre productions at SOTA (San Francisco School of the Arts) and at SSPA (Spindrift School of Performing Arts), featuring Sun & Moon Ensemble's renowned masks and large puppets. Performed by Michael McCamish and directed by Maria Lexa, TWOBIRD presents a unique blend of penetrating social commentary and rich visual poetry, with a sprinkling of humor and irony. 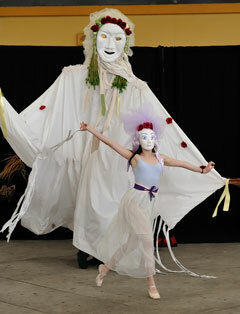 A feast of masks, puppets, and live music telling a tale of enchantment for all ages. Directed by Maria Lexa featuring a spectrum of Sun & Moon Ensemble performers and collaborators, the performance will be accompanied by an exhibit of original masks. The Sun & Moon Ensemble premieres LUNA, a multi-media performance in which two characters, a man and a woman, each experience themselves as isolated in their own prisons. Through memories, dreams, and fantasies, they search for the source of their fate and how to free themselves. They enter into each other’s imaginings, and their stories intertwine. The Ensemble combines drama, dance, humor, giant puppets, masks, live music, original texts and excerpts from Shakespeare’s Macbeth in the creation of LUNA. In a unique collaboration with performers and musicians from India, Sun & Moon Ensemble portrays ancient myths and legends about the flute-playing god Krishna with his consort, the beautiful Radha, and their stories of love and enchantment in the magical forest of Brindavan. 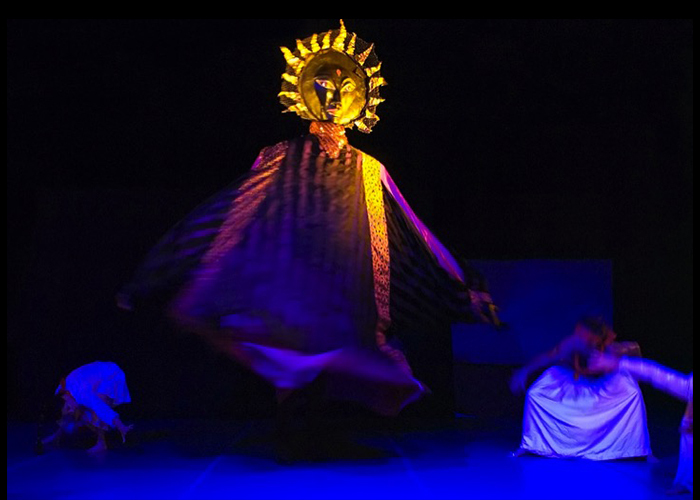 Drama, dance, humor, giant puppets, masks, shadow play, and live music are woven together in this original piece inspired by creation tales from around the globe and the journey through darkness to the light.